Ken Smith Landscape Architect designed an art-oriented roof garden for the new Taniguchi-designed addition to the museum. 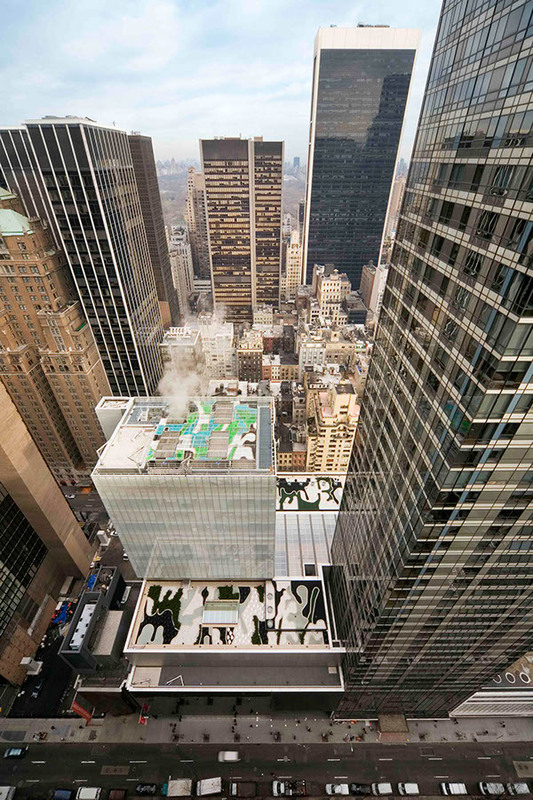 The museum was required to provide a “decorative rooftop” to ameliorate the view of the new building’s roof from the adjacent condominium residences of Museum Tower. 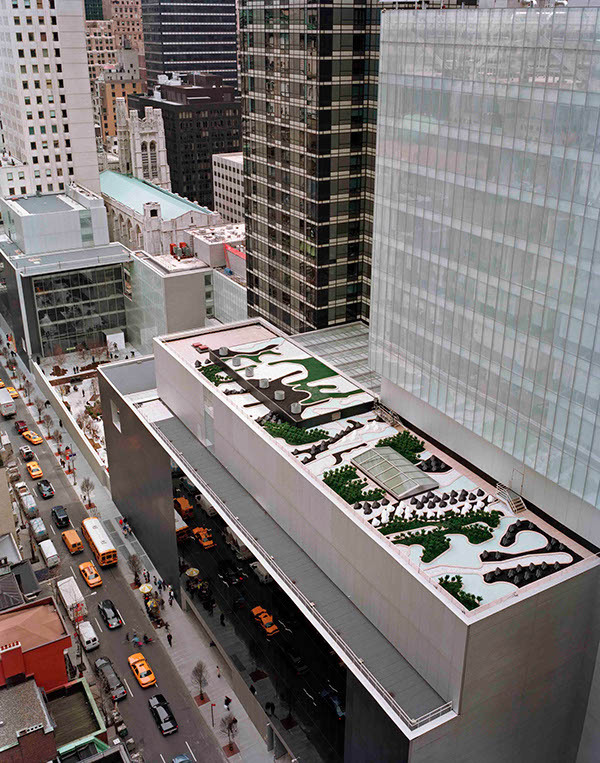 The design of the roof garden appropriates the visual vocabulary of military camouflage to create a garden that simultaneously disguises the roof while making it highly visible. The design also provides commentary on the nature of landscape with its manipulation of scale and use of natural and simulated materials. 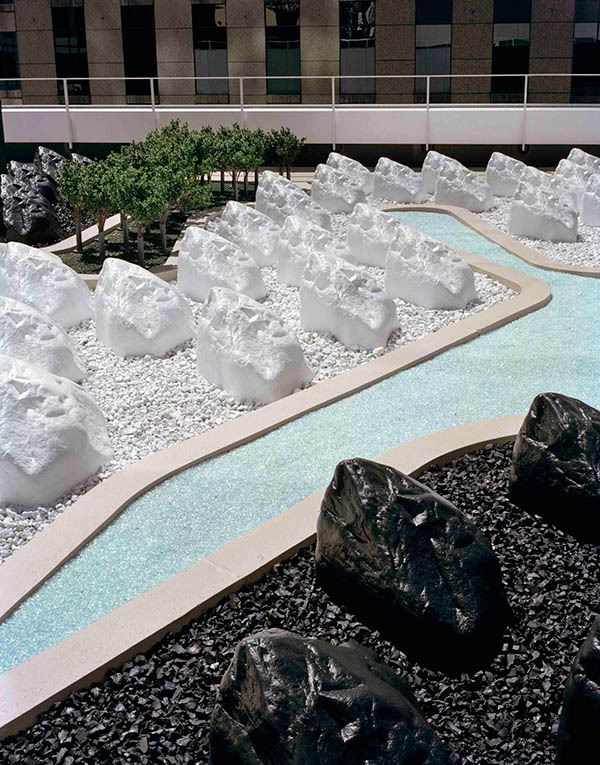 Limited load conditions and policy direction to have no maintenance or irrigation led to a material palette of recycled rubber chips, crushed glass, crushed marble stone, artificial boulders and artificial boxwood shrubs. Light-weight roof garden for New York art museum using innovative material palette of natural and synthetic materials; and challenging traditional imagery of nature.